In areas where poverty is rampant, sometimes a roof over one’s head simply isn’t enough. Corrugated metal roofs are costly, can be dangerous, and are insufferably hot during summer months. That’s where Modroof by Re-Materials comes in; it’s an affordable modular paneling system made from fortified, recycled cardboard pulp that keeps residents drier, safer, and leaves them with leftover money in their pockets. 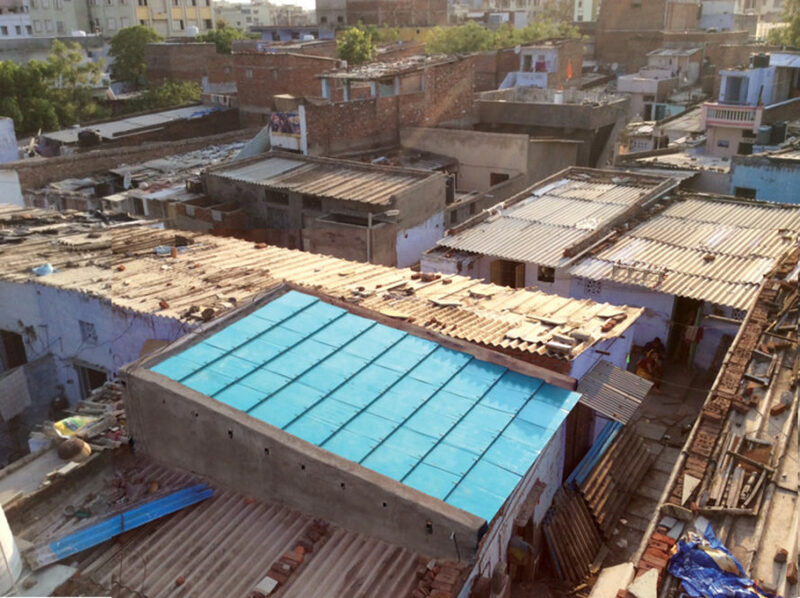 Villages in India are starting to look a bit different thanks to stark blue rooftops made from recycled agricultural and packaging waste. Modroof panels are incredibly durable, able to withstand water and fire, and last much longer than other roofing materials. Typically homes are roofed with concrete or corrugated metal, which can create problems from unbearably uncomfortable heat, leaking during monsoon season, and even health issues. The modular design allows for easy transport and installation, as well as replacement of individual panels. Residents need not worry about high costs, either, as affordable payment plans are made available so low-income families can improve their homes without having to wait. Re-Materials is also looking to equip the panels with solar cells so families can power their homes cheaply and sustainably. Re-Materials has created a modular roof paneling system called Modroof. 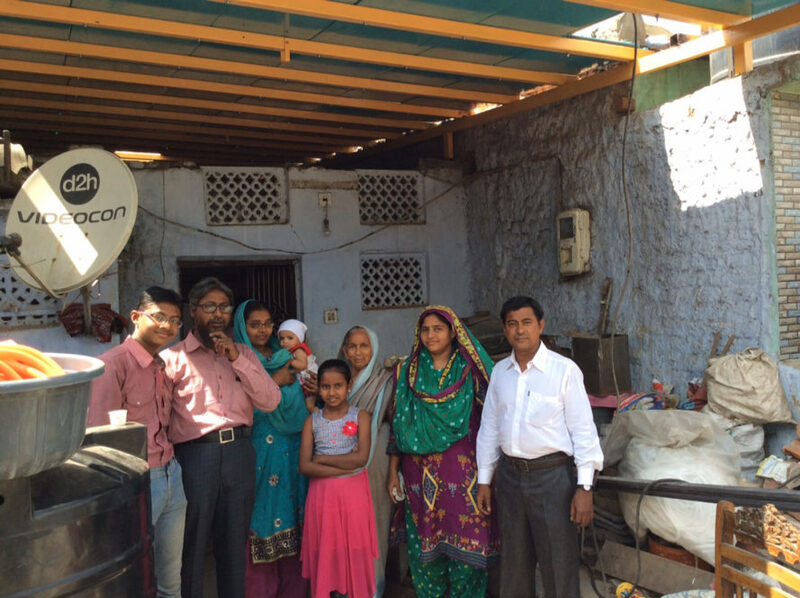 Low-income families in India can benefit greatly from the affordable, durable, and sustainable system. Modroof is made from recycled cardboard materials, creating a safer and more durable roofing system.